Most people think that succulents are only happy in warm, sunny climates and that they don’t tolerate the cold very well at all. While this may be the case for tender succulents, there are many hardier species for people that live in colder geographical locations. These succulents are particularly great because you can keep them outside year round! They’ll do better in the ground than in a pot, though. For more tips on keeping succulents outside in chilly weather, check out this article about overwintering your succulents! If you’re not sure about hardiness and zones and whatever – look at this neato guide. 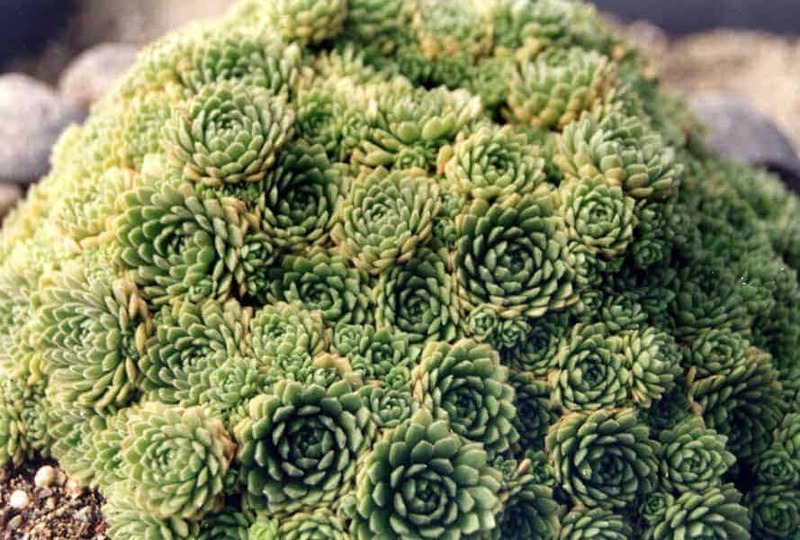 Below we list some great succulents that’ll survive snows and frosts alike. Check ’em out! Grab these at Planet Desert! Hardy to an impressive 10°F when kept dry, the Queen Victoria Agave thrives in full sun during the summer and winter months. Keep it in bright sun to maintain the formation of a tight rosette shape. It’s drought-tolerant once established and requires minimal care. Upon blooming, it produces delicate, cream-colored flowers. 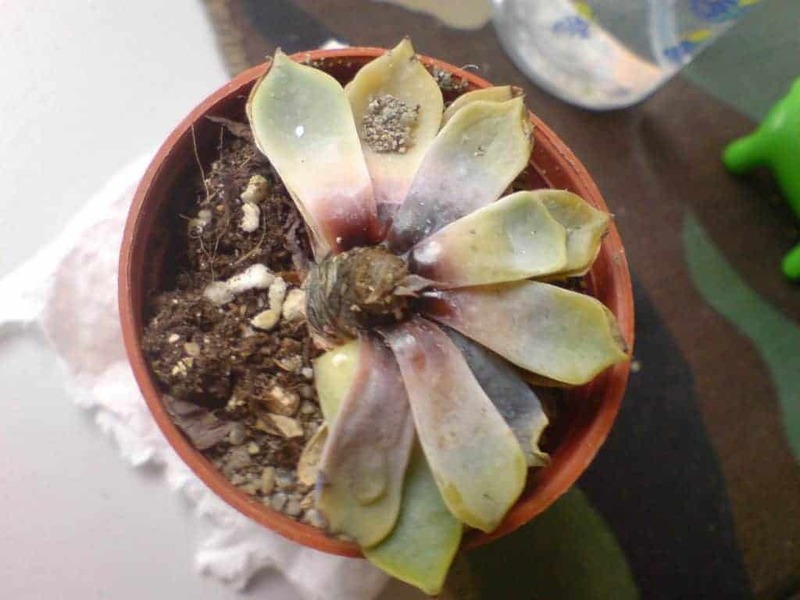 This slow-growing succulent is often a solitary plant, although it can produce offsets for propagation. Likely the most cold-hardy succulent on the list, the ever-popular Hens and Chicks (a catch-all phrase for the whole genus) are pretty much all frost-resistant. Many of them are tolerant to an incredible -30°F. 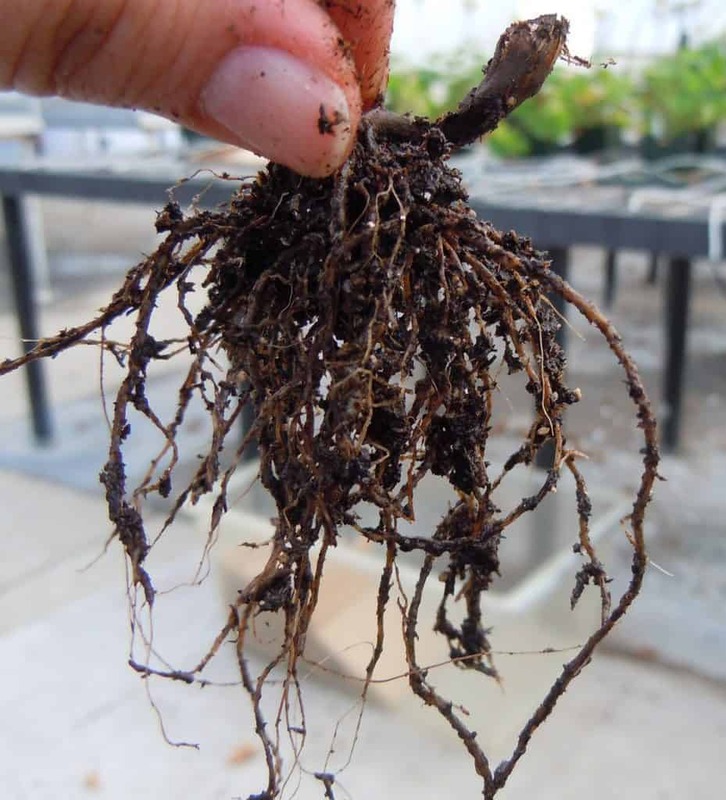 Growing with little-to-no attention in full sun or shady areas, the only real requirement is keeping the soil surrounding the plant well-drained to avoid rot due to over-watering. With a huge range of colors and shapes to choose from, you’re sure to find one of these to be the perfect addition to your colder-climate garden. Beautiful! Grab yours at The Succulent Source! The sizable Pink Ice Plant can grow up to a foot tall, spreading its dark pink stems anywhere from 2-3 feet. The distinctive leaves, often with reddish teeth, create a dense visage, and the delicate flowers bloom a very pretty lilac during late spring and early summer and have a sweet fragrance to them. While it is cold-weather tolerant, this succulent is a little happier when covered and protected from frost in winter months. Mountain Crest Gardens sells these… if they’re not sold out! Almost like growing three plants in one, the Chinese Dunce Cap starts off as a low, densely spread mat that bursts into an array of conical, silvery-lavender spires and continues to grow upwards of 6 inches during the summer and fall months. Producing tiny flowers, the succulent dies after it blooms, but is incredibly easy to propagate and often creates its own offsets that prevent the plant from dying out altogether. Available at The Succulent Source. The Blue Elf is an interesting plant because we know it’s a hybrid… just nobody is sure what its parents are! It’s a popular landscaping plant nevertheless. 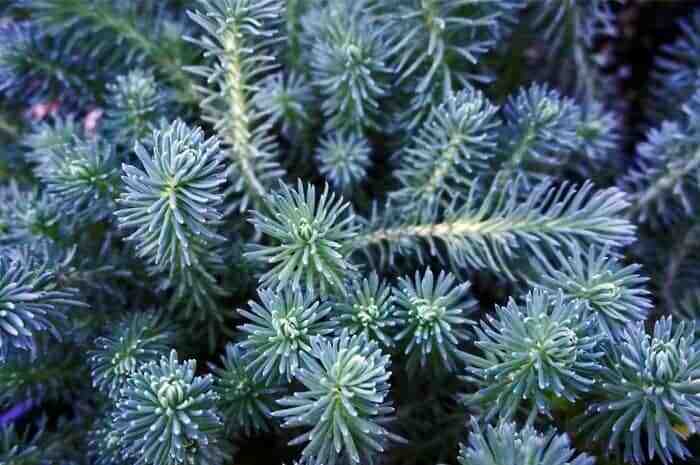 Sun-tolerant, cold-tolerant, and drought-resistant – the Blue Elf is an all-around gem of a plant that thrives in many different conditions. Forming upright stems of blue leaves, at maturity this impressive plant can grow up to 18 inches tall and 2 feet wide. Hummingbirds love this plant, which blooms beautiful orange flowers in late winter through to early spring, providing a much-needed dash of color in cold climates. 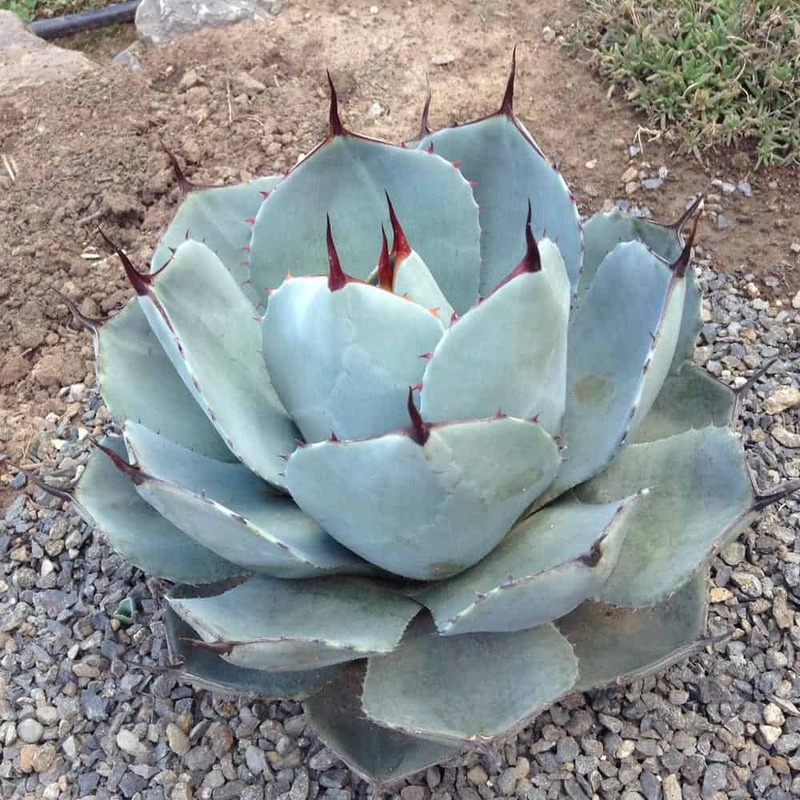 Grab an Agave like this one at Mountain Crest Gardens. Highly prized due to their rosette presentation that resembles an artichoke, Parry’s Agave has delightful gray-blue leaves with maroon-colored tips, making this succulent a striking addition to your outdoor garden. It’s cold-hardy to 0°F and produces an incredible 12-foot stalk with bright yellow flowers when it blooms at maturity. After blooming, the plant dies, but it can easily be propagated with both offset and seed. Grab these beauties at Mountain Crest Gardens! 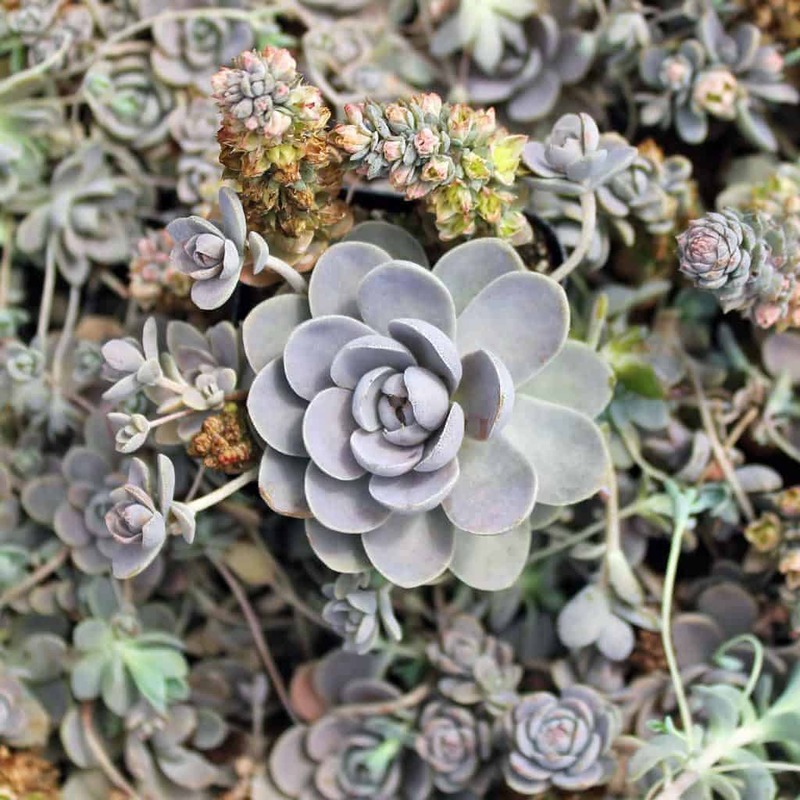 Hardy enough to be grown in Hardiness Zones 3-9, the Bronze Carpet succulent is the perfect border plant. It grows to a maximum height of about 6 inches but spreads up to 24 inches, making it a colorful filler as it creates a mat of stems and leaves. 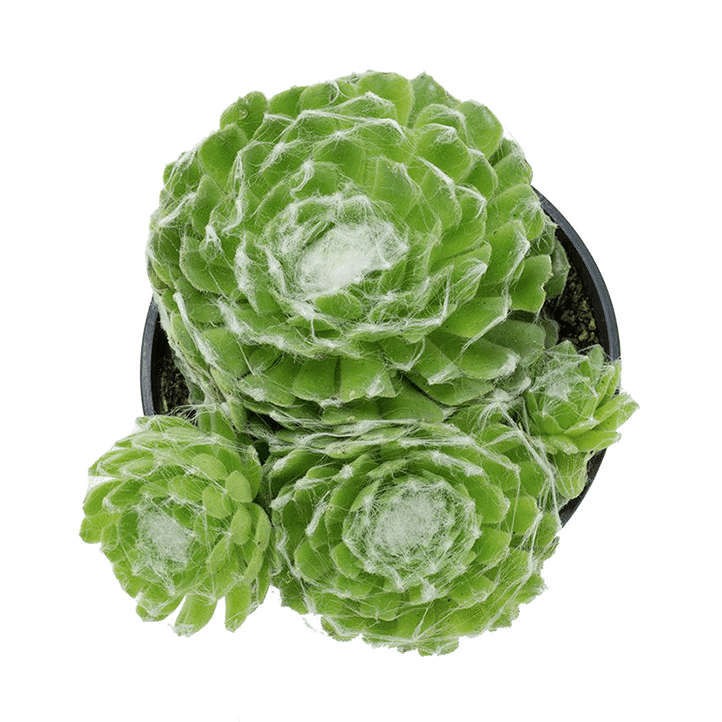 This succulent is green with red edges, but as the seasons change it takes on a bronze color and produces small pink flowers when it blooms in the spring. 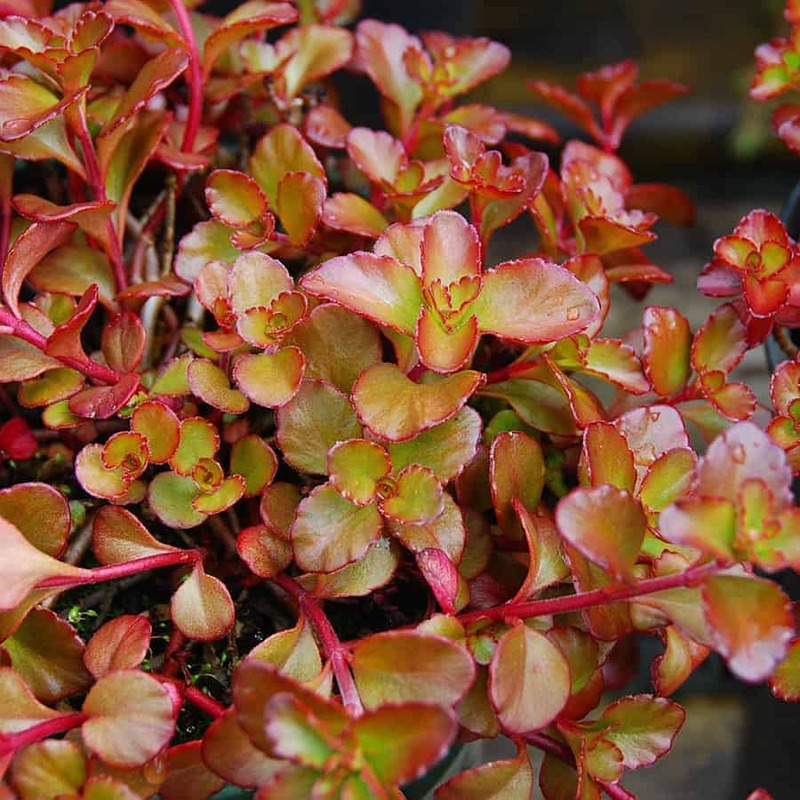 This Sedum can also be purchased at Mountain Crest Gardens! As the name suggests, the Blue Spruce has a furry, fern-like structure that changes color throughout the year. During the spring and summer months, the tall, 10-inch stems and leaves have an almost lime green brightness, turning to a golden or bronze hue during the colder months. This succulent does not always produce flowers, but when it does they are bright yellow appearing in the springtime. This cutie can be picked up at Leaf & Clay by clicking this picture! Uniquely beautiful, the Powder Puff Cactus appears delicate but can withstand temperatures as low as 10°F. When in bloom, the flowers range from creamy-white to yellow and pink, creating a halo-like appearance of color. 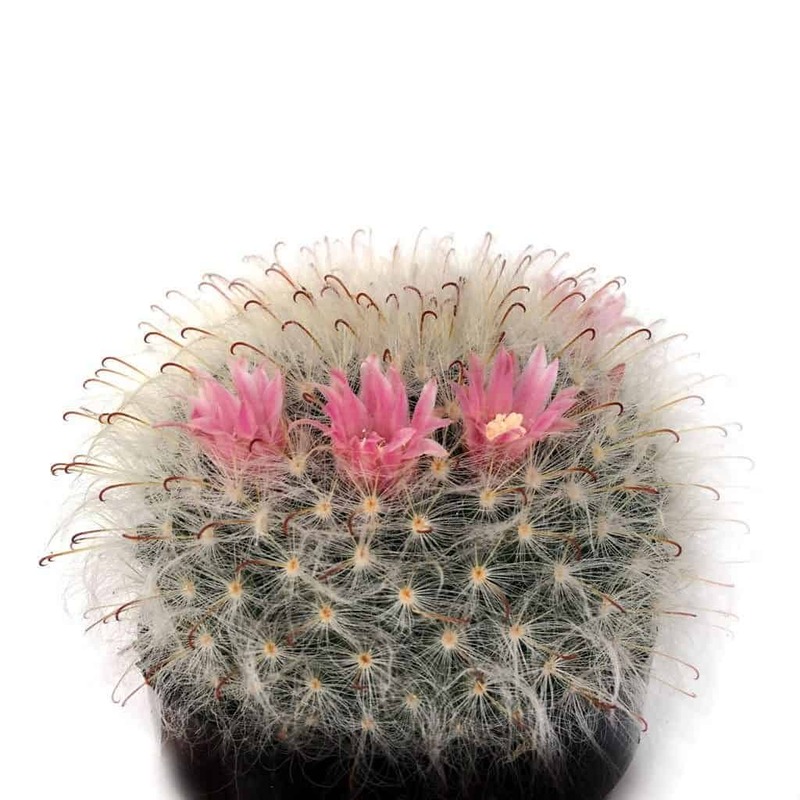 The white, hair-like spines give this cactus a charming look and the small size means it can be used as a pretty filler plant in outdoor containers and flowerbeds. 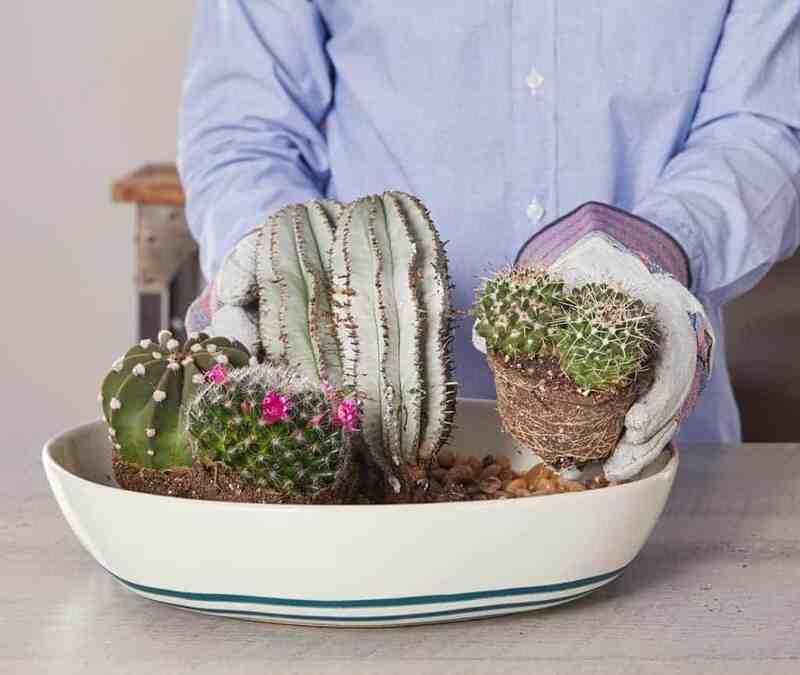 Be sure to keep this cactus in a bright spot with plenty of airflow and well-draining soil. Small and extremely easy to care for, the Rosularia platyphylla succulent does best when left alone to grow. It is susceptible to rot if the soil is particularly wet, so when planted outside, the soil should be well-draining and of a sandy mix. While quite slow-growing, it spreads quickly, forming dense rosettes of lush green leaves measuring up to an inch in diameter. Its flowers grow on upward stems and are often white or ivory-yellow in color. Lace Aloes like these can be found at Mountain Crest Gardens. 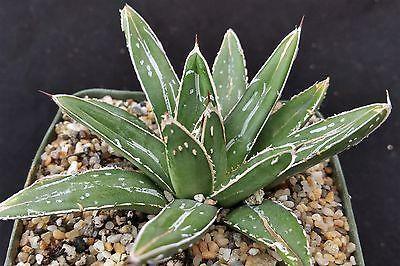 Stemless and growing in a dense rosette formation, the Lace Aloe or Torch Plant produces dark green leaves with white margins and teeth. At 12 inches tall, this cute succulent blooms with delicate orangey-red flowers in the fall. It’s a very easy plant to take care of, and while it is hardy down to an impressive 5°F, it’s advisable to keep it at warmer temperatures during the winter. Thats’s our list of the top cold hardy, frost resistant succulents! Want to browse more? Mountain Crest Gardens has an extensive, dedicated hardy succulents section! Look at all these bad boys! Always very helpful information. Thank you!